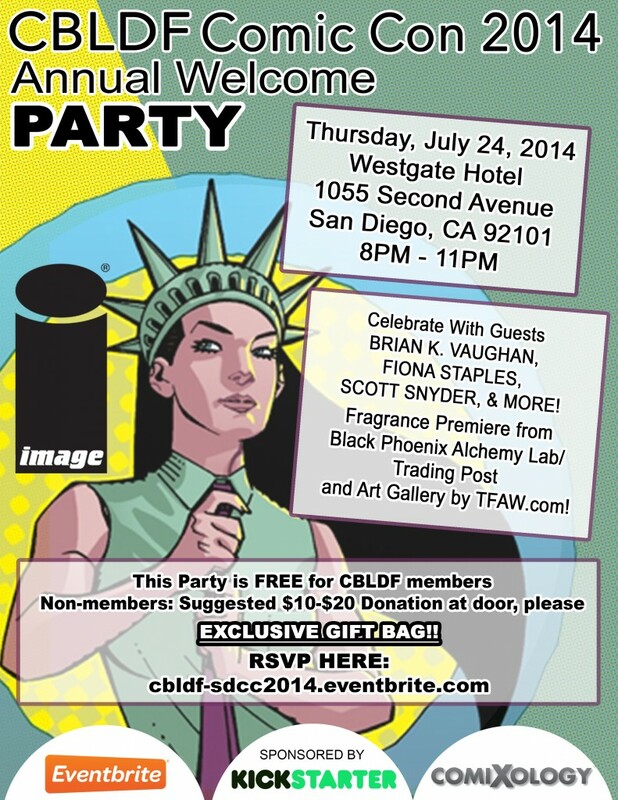 Start SDCC With CBLDF’s Comic-Con Welcome Party! Kickstarter is a funding platform for creative projects. Everything from comics, films, and games to art, design, and technology. Kickstarter is full of ambitious, innovative, and imaginative projects that are brought to life through the direct support of people like you. Whether you work in ink or on the web, a Kickstarter project can get your work in the hands of your fans and on the shelves of your local comic shop. ComiXology, an Amazon.com, Inc. subsidiary (NASDAQ:AMZN), has revolutionized the comic book and graphic novel industry by delivering a cloud-based digital comics platform that makes discovering, buying, and reading comics more fun than ever before. ComiXology’s Guided View reading technology transforms the comic book medium into an immersive and cinematic experience, helping comiXology become a top ten grossing iPad app in 2011 and 2012 and the top grossing non-game iPad app in 2012 and 2013. Offering the broadest library of comic book content from over 75 publishers – and independent creators as well – comiXology will not stop until everyone on the face of the planet has become a comic book fan. ComiXology is based in New York City, with operations in Los Angeles and Paris. Founded in 1979, Things From Another World is the premier retailer of comics, toys, collectibles, and pop-culture geek goodness, both in Oregon, California, and online at http://www.TFAW.com. We specialize in formulating body and household blends with a dark, romantic Gothic tone. Our scents run the aesthetic gamut of magickal, pagan and mythological blends, Renaissance, Medieval and Victorian formulas, and horror / Gothic-themed scents. By utilizing our knowledge of homeopathy and aromatherapy, the conceptual theories of hermetic alchemy, and the aesthetic artistry of perfumery, we have mastered the art of encapsulating allegorical ideas into singular olfactory experiences. We are the first of our kind, and have over fifteen years of practical experience in the field. Our expertise shows. We pride ourselves on the artistry of our products, and our skill in their creation. All of our products are hand-blended here in our laboratory. Integrity and dedication is vitally important to us, and we do our best to provide the best possible product and slavishly good service to all our clients.